Selenge aimag. Region of Mongolia. Aimag. Aimak. Selenge Aimag. Sukhbaatar. Darkhan. Kharagiin Monastery (Kharagiin Khiid). Bugant. Amarbayasgalant monastery (Khiid). Selenge aimag is located in the North part of Mongolia in a beautiful basin of Orkhon and Selenge rivers. Selenge is the first - or last - aimag seen by train travelers shuttling between Ulaanbaatar and Russia. There is not a lot to attract visitors to Selenge except the majestic, but remote, monastery Amarbayasgalant Khiid and some beautiful scenery. Ethnic groups in the aimag include Khaikh, Buryat, Dorvod, Oold and Russians. Buryats, Kazakhs, Russian and even Chinese live in wooden huts in villages hugging the train line and the main paved road that bisect the aimag. They look after some of the 300,000 hectares of grains, fruits and vegetables. Many others live in Darkhan, Mongolia's second largest city. There are Orkhon, Tuul, Kharaa, Yeruu, Iven, Burgaltai, Suren, Mankhai, Sharyn and many other small and big rivers flowing through Khentii mountains, and emptying into the Selenge, the largest river in Mongolia. The highest mountains are Delgerkhan and Songol with the altitude of 4,682 - 7,303 feet (1,427-2,226 m.) above sea level. 47 percent of the territory is pasture, 2 percent hay fields and sown fields cover 85 percent of the territory. 42 percent of the territory is covered with broad-leaved and coniferous forest. With pines prevailing, trees include poplars, larches, birches, Siberian cedars, willows, picea wins. Of berries one can find cowberries, brambles, hippobophae, billberries, black and red currants. Mushrooms grow in the forest. Ruddy, shellduck, duck, goose, pallas's sandgrouse inhabit basins of rivers. Elks, lynxes, foxes, bears, deer, marmots, boars, wolves can be encountered in the forests, steppes, mountains of Selenge aimag. Aimag is famous of it's hot and cold springs, such as Yeruu, Khovd, Dal. Selenge aimag produces 40-56 percent of grain of the country. In 1998 Selenge aimag's industry produced goods worth 24.2 billion tugriks. 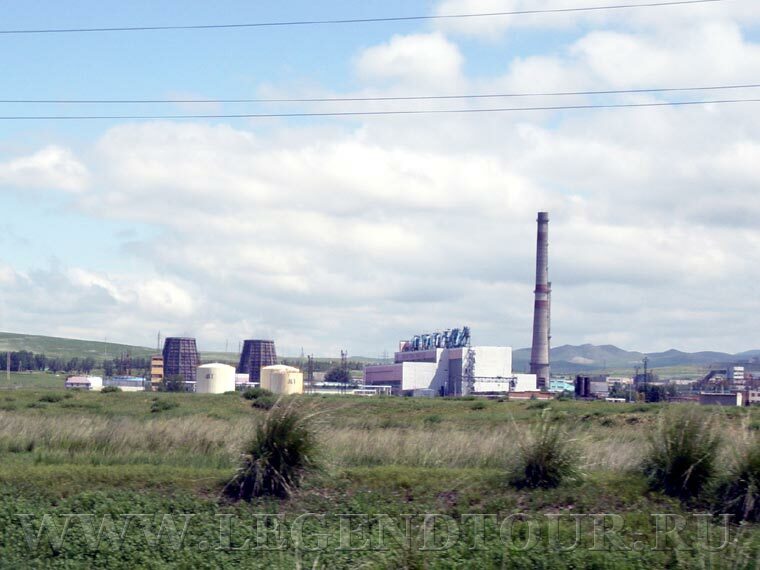 In the aimag, there are timber, match, cement, chalk, spirit, wood plants, gold and coal mines and powerstations. In the south-east, the open-pit coal mine at Sharyn Gol produces about two million tons of coal each year to provide electricity for the Erdenet mine in Bulgan aimag. Sukhbaatar. Population 20,000. Elevation 626m. Near the junction of the Selenge and Orkhon rivers, the capital of Selenge aimag, Sukhbaatar, was founded in the 1940s. Although Mongolia's chief border town, it is a quiet, pleasant place. Dulaankhaan. Sixty two kilometres South of Sukhbaatar, this tiny village in the sum of the same name is worth a stop if you have your own vehicle. Dulaankhaan is home to Mongolia's only bow and arrow factory. Bows and arrows are made from ibex, reindeer horn, bamboo and, even, fish guts. Only 30 to 40 sets are crafted every year because they take about four months to complete. Each set sells for about US$200. It is thought that today less than 10 people in Mongolia know how to make a traditional Mongolian bow. Altanbulag. Just 24km to the East of Sukhbaatar is Altanbulag, a small, peaceful border town in the sum of the same name. Just on the other side of the border is the Russian city of Kyakhta. From the border, you can easily see the abandoned, but once opulent, Kyakhta Cathedral. The Mongolian government recently decided to allocate 500 hectares at Altanbulag as a Free Trade Zone for the development of trade with Russia. Hopefully, this will be more successful than the Free Trade Zone in Choir, in Domogov aimag. Both Kyakhta and Altanbulag are of some historical importance to Mongolians. In 1915 representatives from Russia, China and Mongolia met in Kyakhta to sign a treaty granting Mongolia limited autonomy. This was later revoked when China invaded again in 1919. At a meeting in Kyakhta in March 1921, the Mongolian People's Party was formed by Mongolian revolutionaries in exile, and the revolutionary hero Sukhbaatar was named minister of war. Darkhan. Population 95,500. Darkhan is the second largest city in Mongolia. This city is, in fact, not part of Selenge aimag, but an autonomous municipality, Darkhan-Uul. The city was built in the middle of nowhere in 1961 as a satellite town to take pressure off the sprawling Ulaanbaatar, and as a northern industrial centre. Darkhan, which means 'blacksmith', is a modern, sterile place. Fortunately, Darkhan's designers put a little thought into urban planning, so the industrial smokestacks are on the South side of town and the pollution is carried away from residential areas by the relentless northern wind. The Russians designed the city in their image and a sizeable Russian community still lives in Darkhan. Kharagiin Monastery (Kharagiin Khiid). Probably the most interesting sight in Darkhan is the Kharagiin monastery. Housed in a pretty log cabin in the old town, it has recently become very active. With a host of protector deities and a tree encased in blue khatag silk scarves, the monastery has the feel of a pilgrimage center. Museum of Darkhan-Uul. This museum, also named the Traditional Museum of Folk Art, contains a well laid out collection of archaeological findings, traditional clothing, religious artifacts and a few obligatory stuffed animals. Bugant. Bugant is in Eroo sum, a remote area about 110km south-east of Dulaankhaan. Most of Selenge consists of fields and flood plains, but Bugant is an area of birch and pine forests, mountains and abundant wildlife. At one time, the town was known for its sawmill and nearby gold mine, but these industries are on their way out. The crystal-clear Eroo Gol flows through the town, and one possible journey on horse-back would be to follow the river upstream to its source in the Khentii Nuruu range. Trekking is a possibility, but if you go wandering through the forest during the hunting season, wear bright colors to avoid being mistaken for an elk. Amarbayasgalant monastery (Khiid). 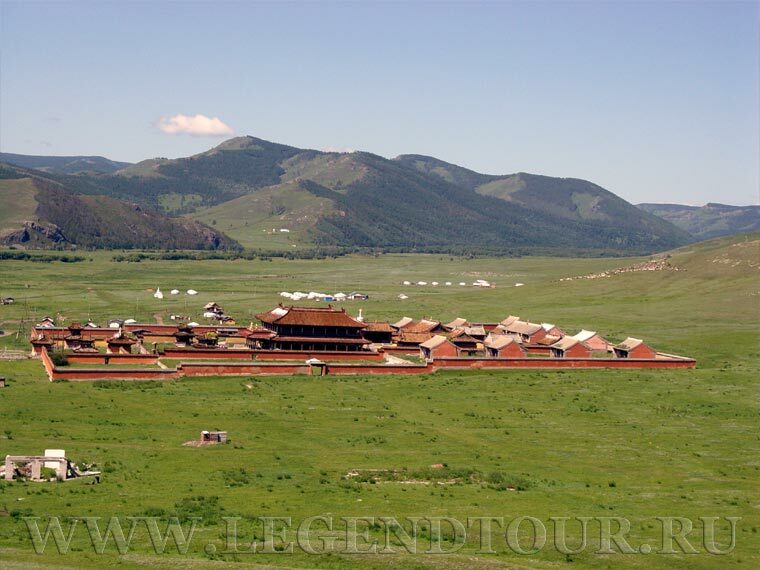 The star attraction of Selenge aimag, this monastery is considered the second most important in Mongolia (after Erdene Zuu Khiid in Kharkhorin) and the most intact architectural complex in Mongolia. Amarbayasgalant Khiid was originally built between 1727 and 1737 by the Manchu emperor Yongzheng, and dedicated to the great Mongolian Buddhist and sculptor, Zanabazar, whose mummified body was moved here in 1779. The communists found a way out here in the late 1930s, but 'only' destroyed 10 out of the 37 temples and statues, possibly because of sympathetic and procrastinating local military commanders. The monastery was extensively restored between 1975 and 1990 with the help of Unesco. These days, around 50 monks live in the monastery, compared to over 2000 in 1936. The map of Selenge aimag.